So last May, as some FT readers will recall, I ran a conference at Birkbeck about the politics of UK music-writing from the mid-60s to the mid-80s, its roots and discontents, its early evolution and its latent potential, as I put it here back then. The plan all along was to gather extracts of the (extremely interesting) panels into a book, add in some essays from participants (and others) and publish it. 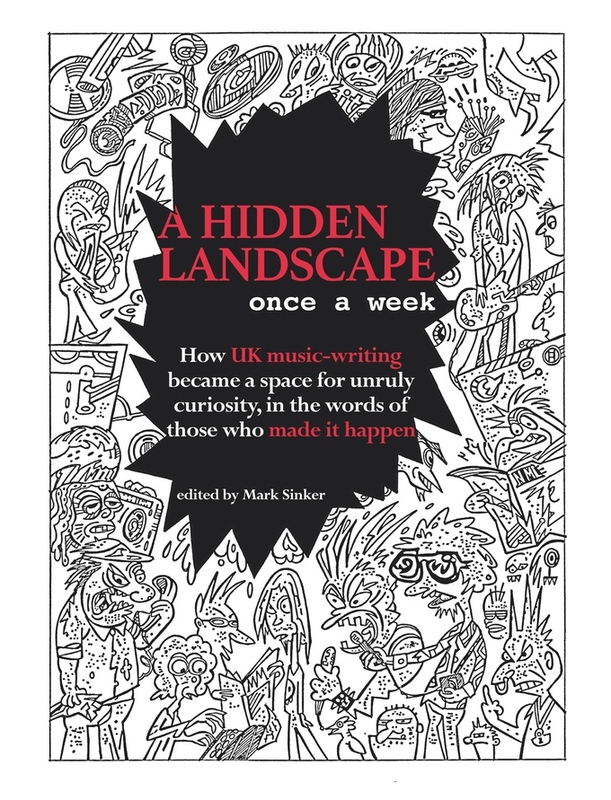 To that end, I present the kickstarter for A HIDDEN LANDSCAPE ONCE A WEEK: how UK music-writing became a space for unruly curiosity, in the words of those who made it happen, an anthology companion to the conference featuring conversations and essays that unearth the many surprising worlds explored by the UK music-press from the 1960s-80s. Click through for further details, little explanatory films and so on. Val Wilmer, Richard Williams, Mark Williams, David Toop, Tony Stewart, Bob Stanley, Charles Shaar Murray, Jon Savage, Cynthia Rose, Edwin Pouncey, Penny Reel, Liz Naylor, Mark Pringle, Tony Palmer, Paul Morley, John (aka Jonh) Ingham, Barney Hoskyns, Jonathon Green, Beverly Glick (aka Betty Page), Simon Frith and Nigel Fountain. The illustrations will be by the legendary SAVAGE PENCIL (see left for cover mock-up). I think this is a strong and interesting project, giving voice to people in this history who’ve been lost from view as well as better-known names, exploring ideals and describing day-to-day practicalities — so click through, read, pledge if you like what you see, and (above all) pass it on to friends who you think will be interested.